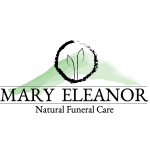 eziFunerals is an affordable, secure, online end of life planning service that allows you to create an Advance Care Plan online. Making decisions about your future health care and medical wishes is known as advance care planning. It formalises your wishes concerning the health care you would like to receive and assists those around you to make decisions in the event you are unable to speak for yourself. Future end of life care and medical decisions will better reflect your wishes. It will help you raise sensitive issues about future care with your loved ones. People making decisions on your behalf will be clear about your wishes. It will reduce stress and the likelihood of confusion and conflict at a difficult time. Anyone, regardless of their age or state of health, should consider doing advance care planning. But, it is particularly important for people who have an ongoing medical problem. How to create your Advance Care Plan. It’s easy! 1. 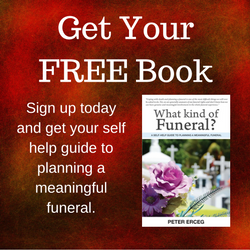 Register as a new Funeral Consumer, or simply login to your account. 2. Select the Create A Health Care Plan menu option and follow the steps provided in each section. appoint person/s to be your Health Care Guardian and to make decisions on your behalf. list of responsible persons who you have shared and have a copy of your plan. a statement of your values and beliefs about dying and your health care and medical wishes in the event you are unable to speak for yourself. what treatments you would like given or not given. how you would like to be cared for at the end of your life. specific directions about your health care and medical treatment including cardio pulmonary resuscitation and other medical treatments. specific requests about organ and tissue donation following your death. specific requests about ante-mortem treatment for organ donation (immediately before your death). confirmation of your Advance Health Care Plan wishes. details of witness and treating health professional. 3. Once your plan is complete you can download it as a PDF as an important record of your wishes. When can your Advance Care Plan be used? It is only used if you are unable to make or communicate your own end of life health care and medical decisions. It would then guide the decision making of your doctor, your Guardian and your family. Who should you choose to be your Advance Care Guardian? The person you choose should be someone you trust, who will listen carefully to your beliefs, values, goals and wishes for future medical care, and will faithfully represent you. Your Health Care Guardian is expected to act in your best interests, making the same decisions they believe you would have made for yourself. Is your Advance Care Plan a legal document? No. An Advance Health Care Plan is not a legal document and will not necessarily be followed. You don’t have to sign an advanced health care plan, but your signature makes it clear that it is your wishes that have been written down. If you require your end of life care and medical treatment to be followed as a legal document, then you should complete an Advance Health Directive and/or appoint an Enduring Power of Guardianship. Please contact your hospital/health care agency in your state or speak to your Doctor for more information about an Advance Health Directive. Start the conversation with your family? Talk to your family, your doctors and to those most likely to be involved in making decisions if you are very ill. In many hospitals there are people who can help you to discuss these issues with your family and doctor. Note: You have the final say in who sees it. Keep it somewhere safe, and tell people where it is in case they need to find it in the future. You can keep a copy in your medical notes. We’ll store a copy in your eziFunerals account and you can even upload a copy in your My Health Record. Did you know you can upload an eziFunerals Advance Care Plan to your My Health Record? This will help make your treating doctors, hospitals and other healthcare providers aware that you have specific wishes about your future medical treatments or care given to you. If you do not have a My Health Record, find out how to register here. What happens if you don’t have an Advance Care Plan? If you become unwell and cannot communicate for yourself, doctors will treat you with any treatment that they believe is likely to be of benefit to you. For some people, this means that they would receive treatment that they would not want. 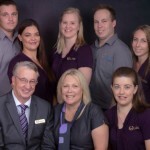 If you feel strongly about certain types of treatments that you would not want to receive, then an eziFunerals Advance Health Care Plan is a good way to communicate those wishes. 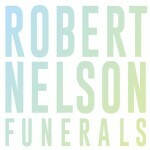 You can save hundreds or even thousands of dollars and many hours of face to face meetings with sales people from funeral homes. comprehensive and itemised quote CLICK HERE. I understood that I may be contacted by multiple Funeral Directors in response to this request. 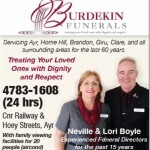 Your details have been sent to Funeral Directors within 100km from your Location and they will respond to your request. 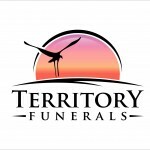 If you would like to plan your own funeral and get comprehensive quotes from different Funeral Homes before selecting a funeral director, click here to register.